Schools are extremely important environments for cultivating self-image and self-esteem of young women in the context of receiving a nurturing and stimulating education. 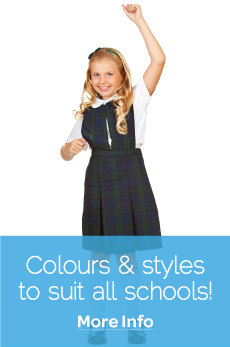 School uniforms provide an opportunity to project pride, confidence and excellence for all participants. Since the establishment of Pritti Design Company in 1998, we believe our products contribute to the cultivation of self-image and self-esteem of young women, by providing them an opportunity for self-expression and individuality within their school communities. 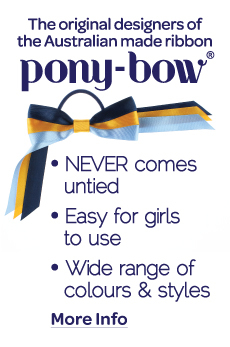 The brand was inspired by my two beautiful daughters who were starting school for the first time and the marketplace had no quality hair accessory offerings that aligned with their school's image. 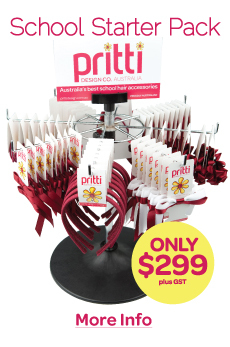 As a mother with a keen entrepreneurial eye, as well as one for detail and design, I saw a gap in the market and launched Pritti. 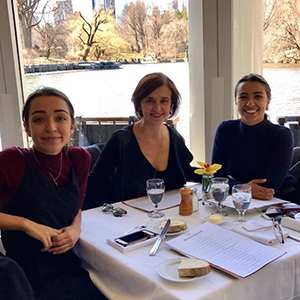 Now, my girls are both in University and still an integral part of the family business. 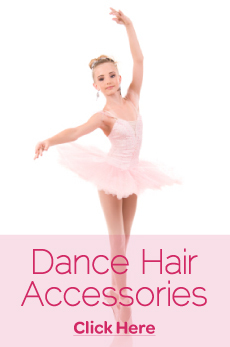 As a company, we have grown to become the leading wholesaler supplier to school uniform shops Australia wide, offering them the biggest and best range of school hair accessories. Our team of hard working women and mothers are at the heart of Pritti, dedicated to raising the self-esteem of young women and self-image of schools. 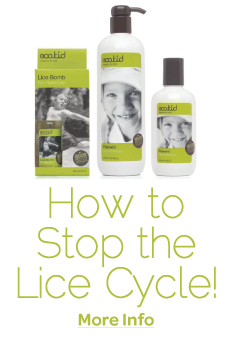 Our diverse range of products caters to all schools, and are for girlsof all ages and personalities. With nearly 20 years of experience under our belt, we go to great lengths to customise and design products that incorporate your school's image, logo and colours. Your school benefits from this experience with the assurance that our business is Australian owned and Australian made, manufactured from the best quality materials and with systems in place to ensure excellent workwomanship. This is why we can confidently offer a 100% money back guarantee on our range and services. As Pritti Design is at heart, a community of mothers, we are committing to using our resources to reinvest back into the community through programs that raise the self-image and self-esteem of young school-aged women. We are also committing to sponsoring female leaders who are creating or delivering programs of this nature. I invite you to browse our website and view our extensive range. We have also branched out into the school crested gifts market with the launch of our sister company Meritis Pty Ltd. As a result of this expansion we are able to offer your school a comprehensive and cohesive, brand and identity package from a brand you know and trust. I look forward to working with you and your school community.